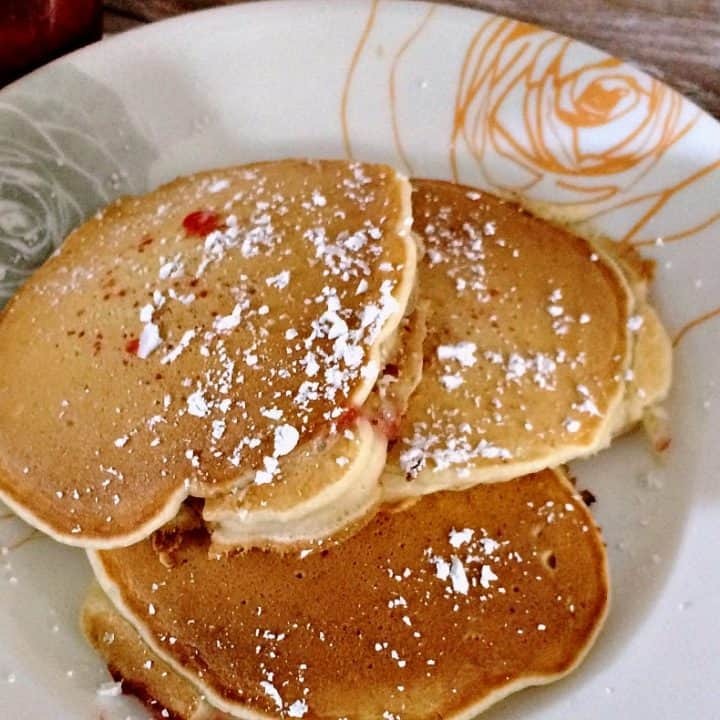 Pancakes are one of my kids favorite breakfasts. I don't make them often so when I do it's a big deal! My kids love chocolate chip pancakes, but every once in a while I like to get creative. Like making stuffed pancakes with peanut butter and jelly. 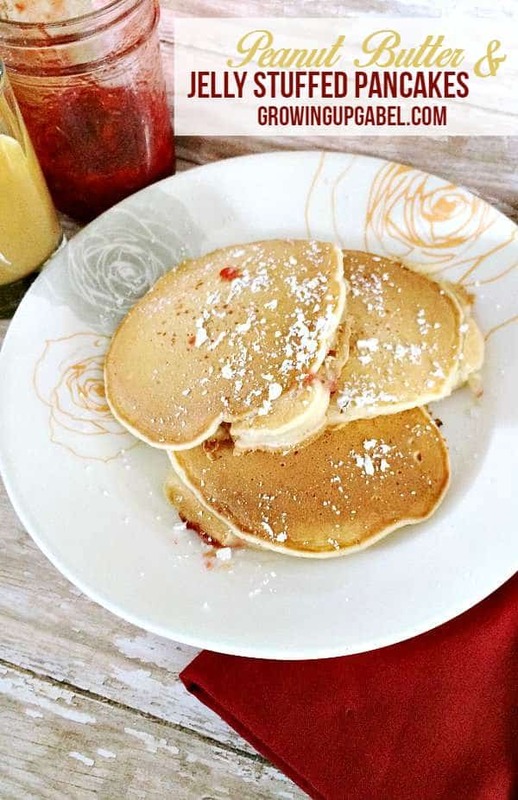 Start with any pancake batter you like. Use a box mix or the recipe below. The one I've included uses applesauce instead of oil or butter if you are avoiding fat. 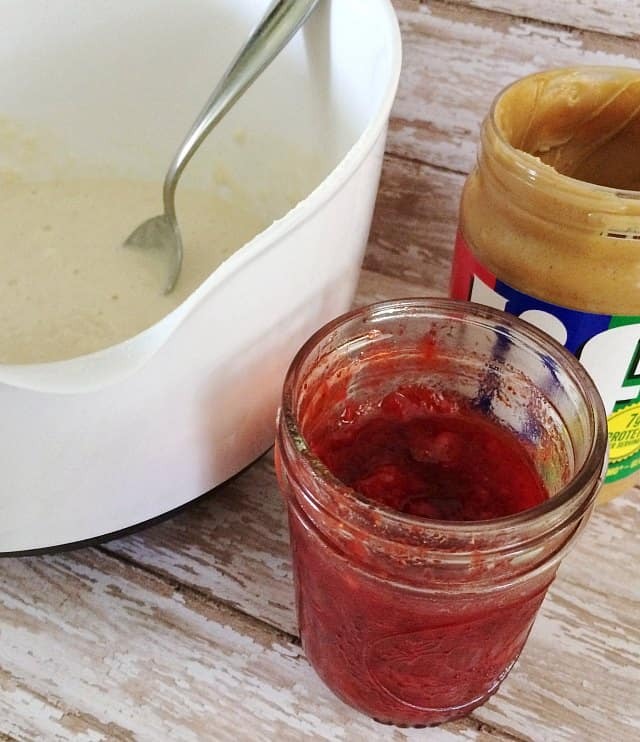 You can also use any peanut butter or jelly. 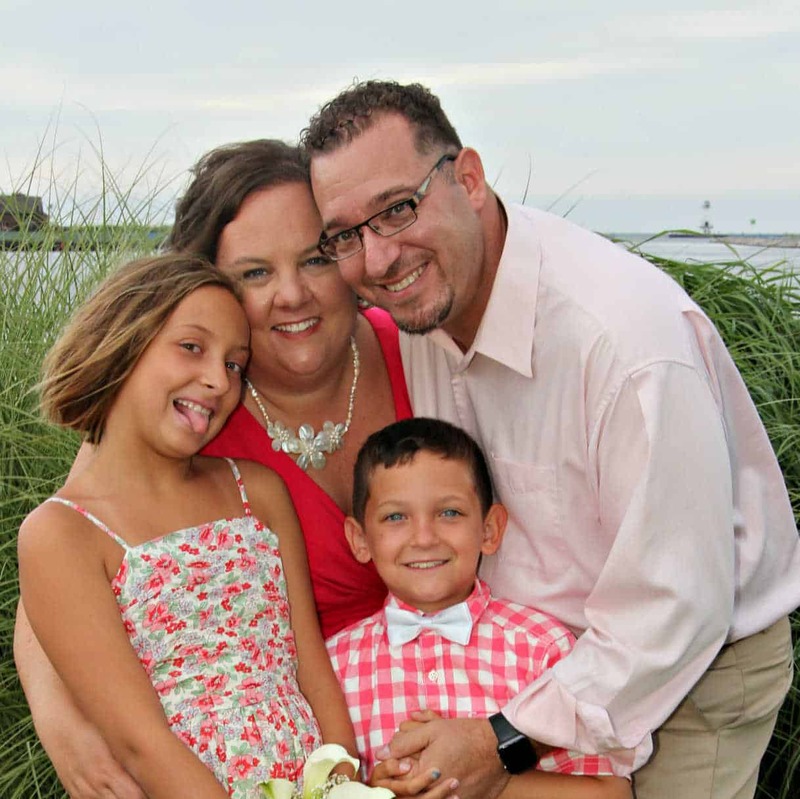 We like homemade strawberry freezer jam but have also been know to sneak in store bought grape jelly. 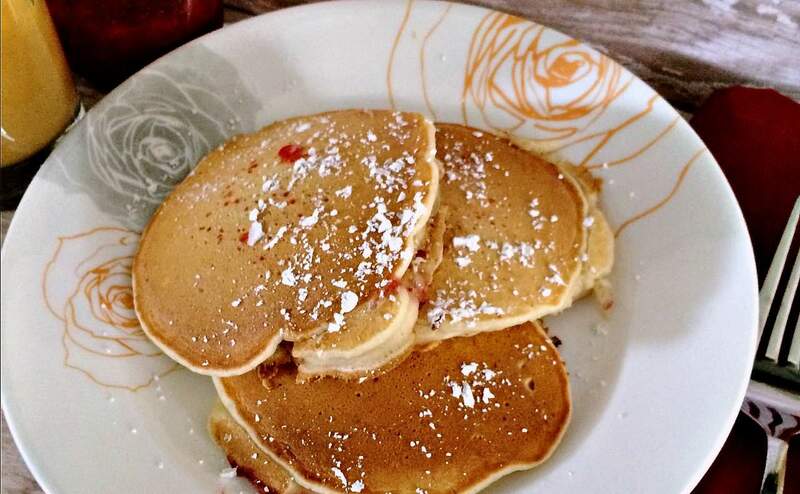 Pour the batter on to the griddle. I'd suggest starting small to get the hang of flipping them and then get bigger as you like. Also make sure to get the peanut butter and jelly in the center so they don't ooze out before the pancakes are done cooking. 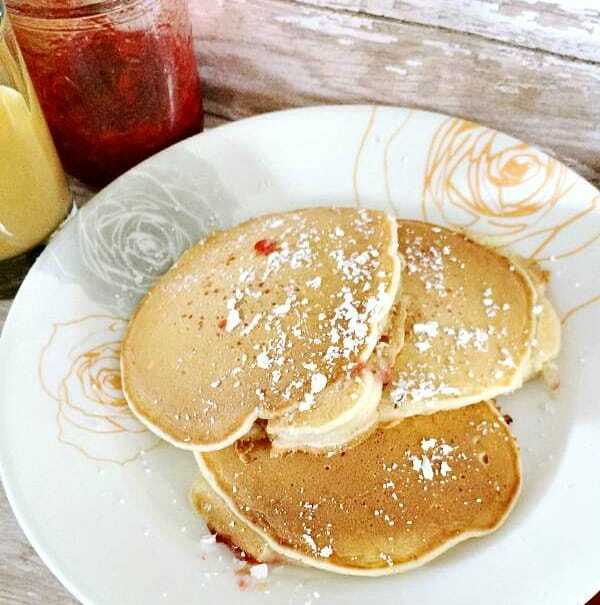 Once the peanut butter and jelly are on the pancake, top them with a smaller scoop of pancake batter. They will probably start to run off a bit, but that's fine. Let the pancakes cook until the edges are pretty done and you see some air holes. Very carefully flip the pancakes and let them finish cooking. It may take a few tries to get this method perfected. Just keep the ugly ones to eat yourself because they are still delicious! These would be super fun to surprise the kids with for lunch some day. I'd even pack them in to their lunch boxes for something different. In a large bowl whisk together flour, sugar, salt and baking powder. Add in egg, applesauce, vanilla, & milk to the dry ingredients and mix with a hand mixer. Pour a medium sized scoop of pancake batter onto griddle. You can make these as big or small as you'd prefer. 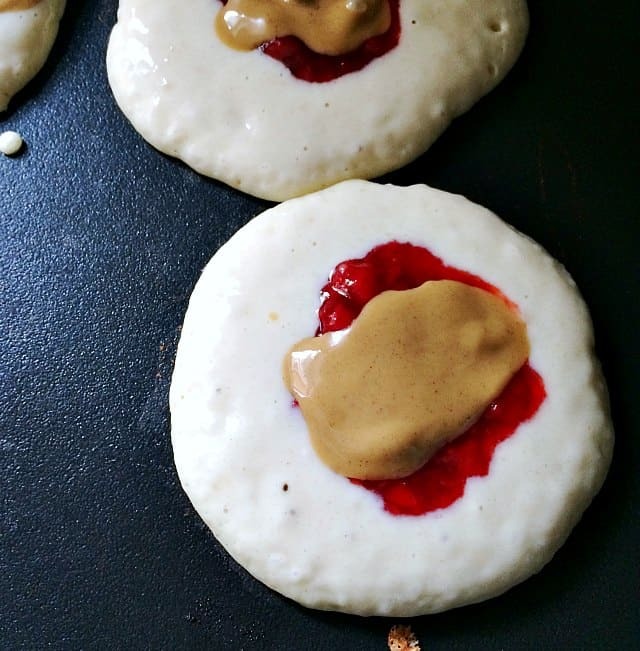 Put one scoop of jelly and one scoop of peanut butter on each pancake. Quickly pour a slightly smaller scoop of pancake batter over top. 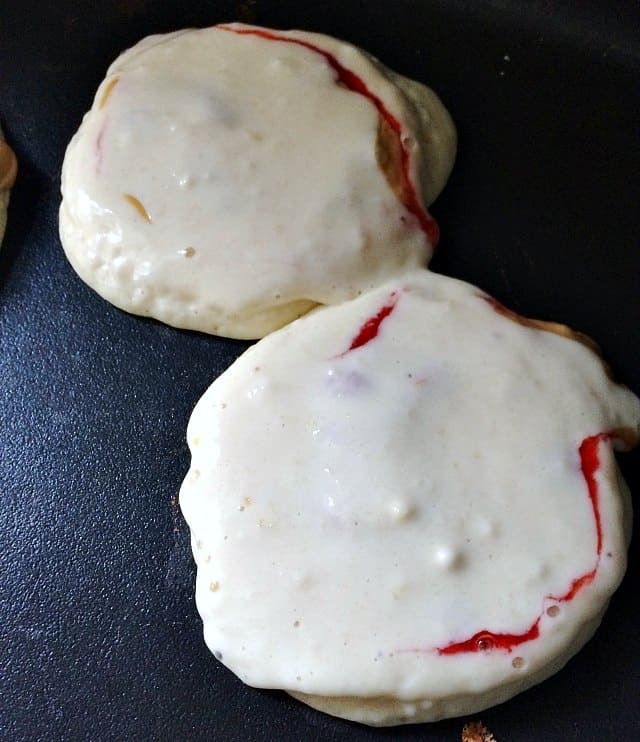 Allow the pancake to cook until the edges start to firm and the pancake bubbles on top, about 1-2 minutes. Flip pancake over and cook for another 1-2 minutes. 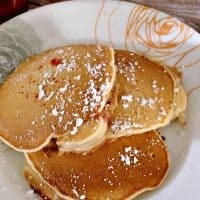 Serve with a touch of powdered sugar on top and your favorite syrup. 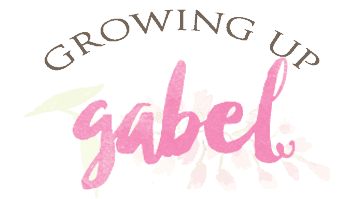 © 2016 Growing Up Gabel. All rights reserved.